In order to view the content on this page, you will need the latest version of Adobe’s Flash Player. Click here to download it. 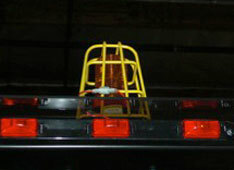 Safety was our top priority while manufacturing The Prowler. All critical joints are tested on The Prowler. 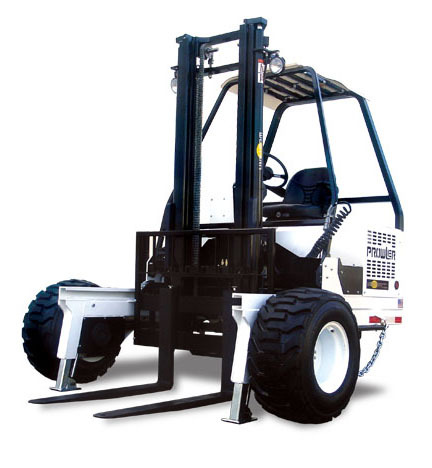 These joints include: frame assembly, ROPS (Rollover Protective Structure), steering structure, inner mast sub assembly, outer mast sub assembly, and the horizontal sliding carriage. Our Welders are certified and comply with the stringent standards of AWS D14.1-2005. This is the American Welding Society’s specification for “Welding of Industrial and Mill Cranes and other Material Handling Equipment”. Welders are required to maintain proficiency and renew certification annually. All Hydraulic Hoses are manufactured by Western Manufacturing, using state of the art Contamination Control and Pressure Testing Processes. 100% of Hydraulic Hoses are pressure tested to twice their respective operating pressure. The test pressure is maintained for 10 minutes before the hose can pass Q.C. approval. 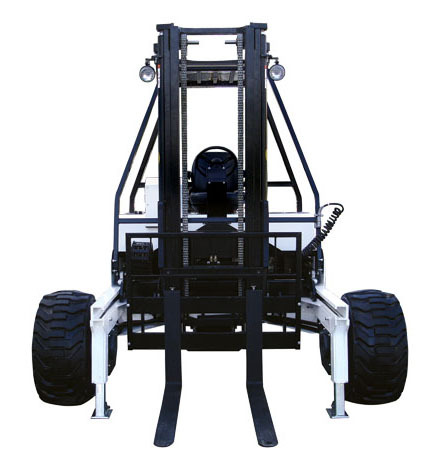 The structure of of The Prowler is put through extensive ANSI testing which tests stability and ROPS (Rollover Protective Structure) Certfification. 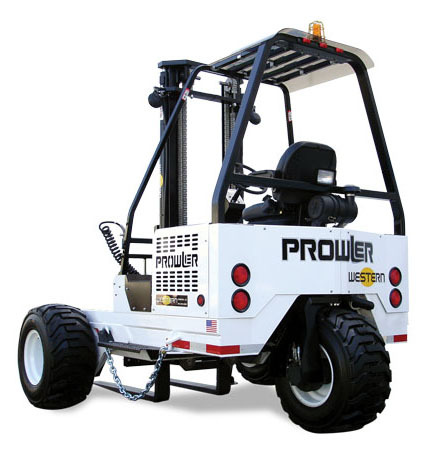 Safety features included in The Prowler are: Horn, Back-up Alarm, Anti-Collision Strobe Light, Presence Sensing Seat, Seat belt w/ Interlock Switch, SMV (Slow Moving Vehicle) Symbol. 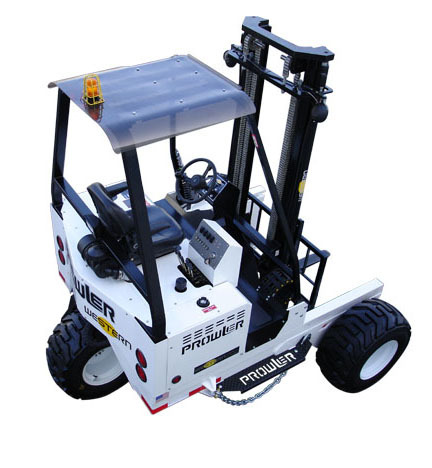 In Accordance with OSHA Standards, Rough Terrain Forklift Operators must be “Trained and Certified”. 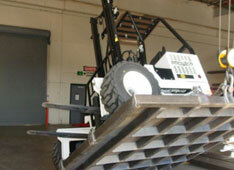 Western Manufacturing offers this valuable training.